Canal holidays really do offer something for everyone. Children revel in the novelty of the boating environment and in the constant variety of activities and places to visit on route. The not-so-young love the leisurely pace of canal life and the genuine home comforts to be found aboard a Countrywide narrowboat. Pets are welcome on board too, so you don’t have to worry about leaving them behind. Best of all, you can choose exactly where you want to go, what you want to see, and which route you take to get there. 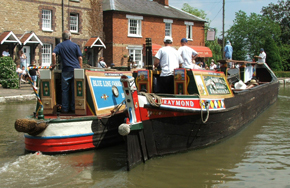 For the moments when you feel sociable, there are a wealth of canal side pubs, ranging from friendly traditional local inns to the full gastronomic experience, where you can exchange tales with your fellow boaters. Or you can choose to be entirely self sufficient, making the most of the facilities on board each of our boats to get right away from the crowd. If you don’t have time for a more leisurely cruise, why not consider a quick ‘get-away’ trip; we make several of our boats available for short three or four day breaks. Spending an idyllic few days pottering through the rich Staffordshire and Shropshire countryside makes a perfect escape from the daily grind. 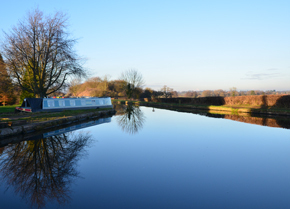 Short break routes can also be added on to standard week long trips, to allow time for a relaxing visit to Llangollen or to undertake an extended Four Counties Ring cruise taking in diversions such as the little used Caldon or Macclesfield canals.